Hello! Remember when a few months ago I told ya'll I broke my stamp-buying-freeze and purchased some retired Doodle Gardens from MFT? Well here's another card using one of these cuties! To make my card, I stamped the image and cut it out. I applied the image to a round panel where I sponged in the sky and hand drew some grass. I used an MFT cloud die for the background and my old Cuttlebug alphabet dies to make the sentiment. The circular panel was then adhered over two different sheets of designer paper from some country mat stack I can't recall the name of. 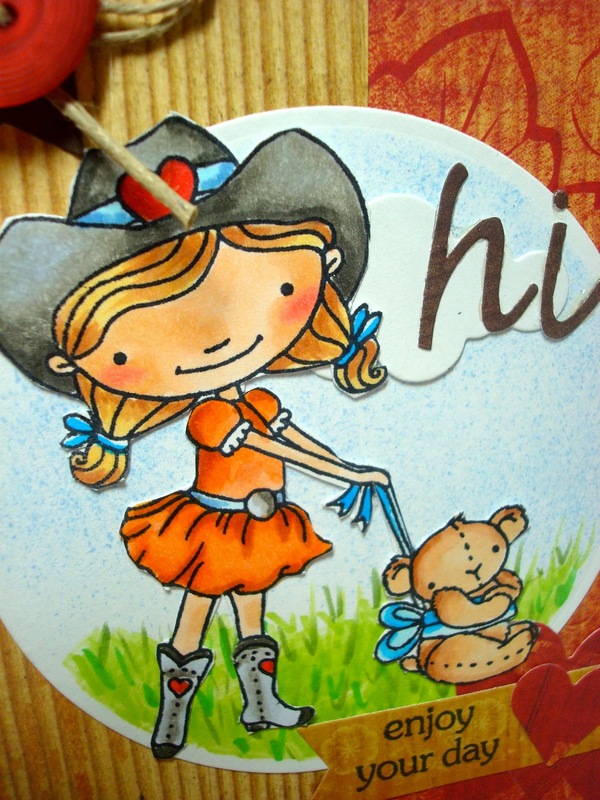 A little button, and a bow made with twine over a plain brown banner cut out of chocolate card stock was placed at the top. I added a second sentiment at the bottom of the card and stitched it on with my sewing machine. I cut a little heart out of the same designer paper using an MFT die for more impact. 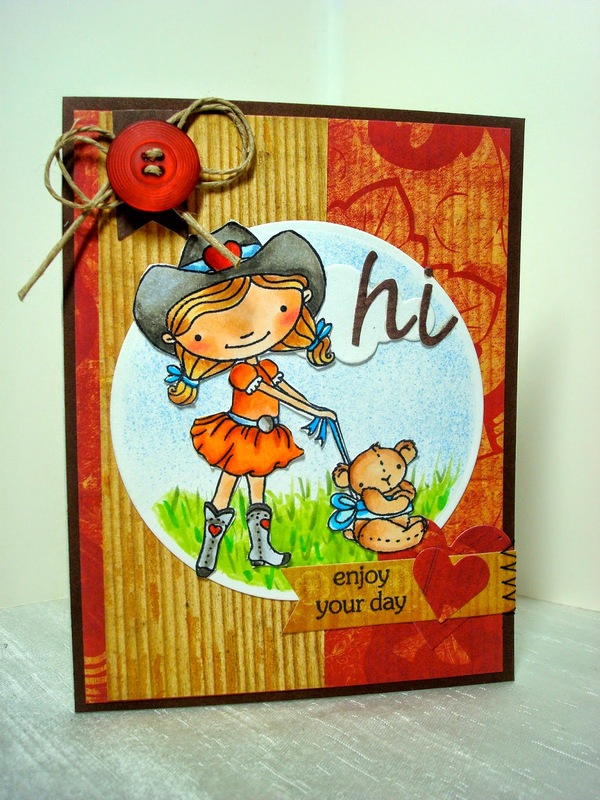 What a fun card Amy, such pretty and cheerful colors! Oh super cute image ! what a beautiful card ! Ooooh fab card Amy, love the colours and the adorable image!